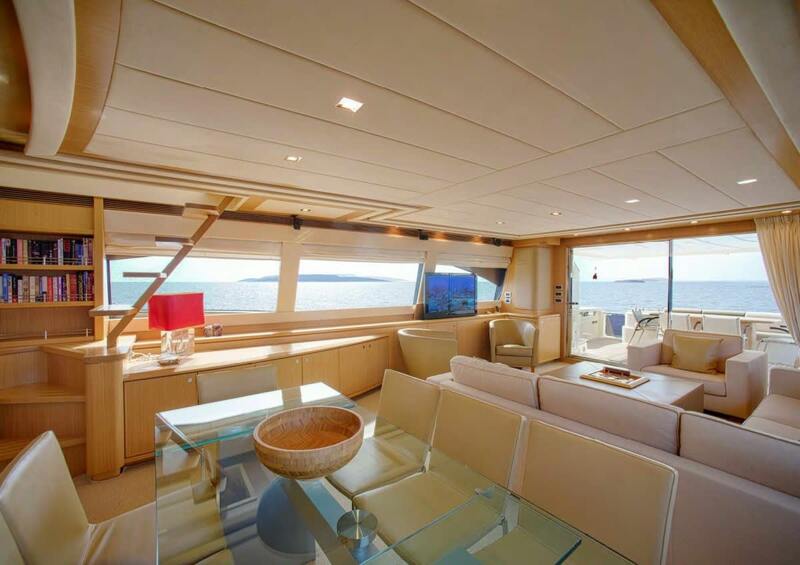 JULIE M yacht is a 82.0 ft long motor yacht monohull and spends the summer and winter season in Greece. 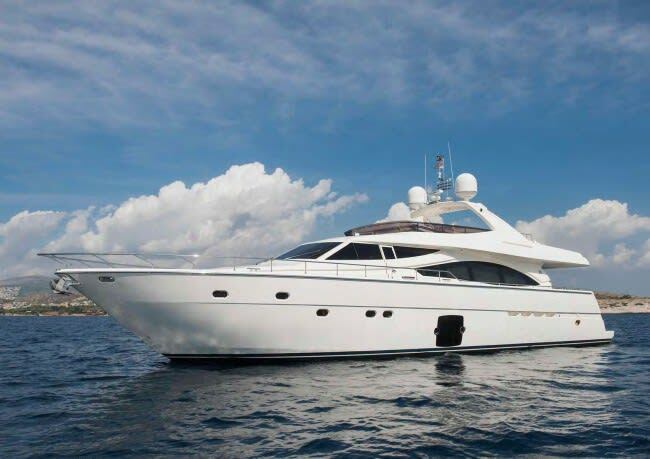 It was built by Ferretti in 2008. 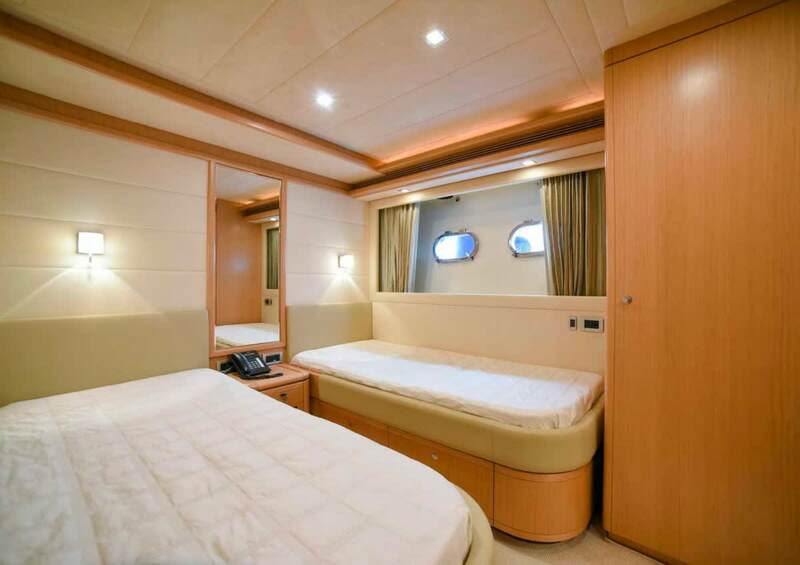 A refit was done in 2016. 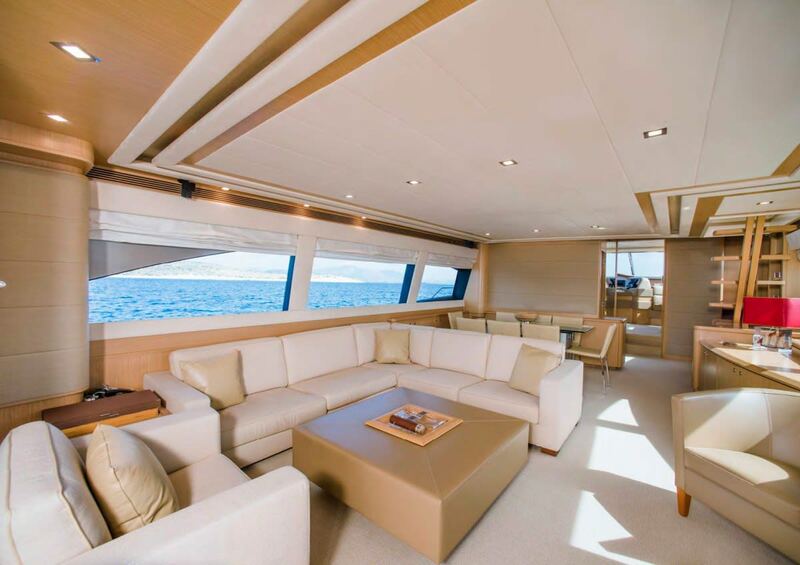 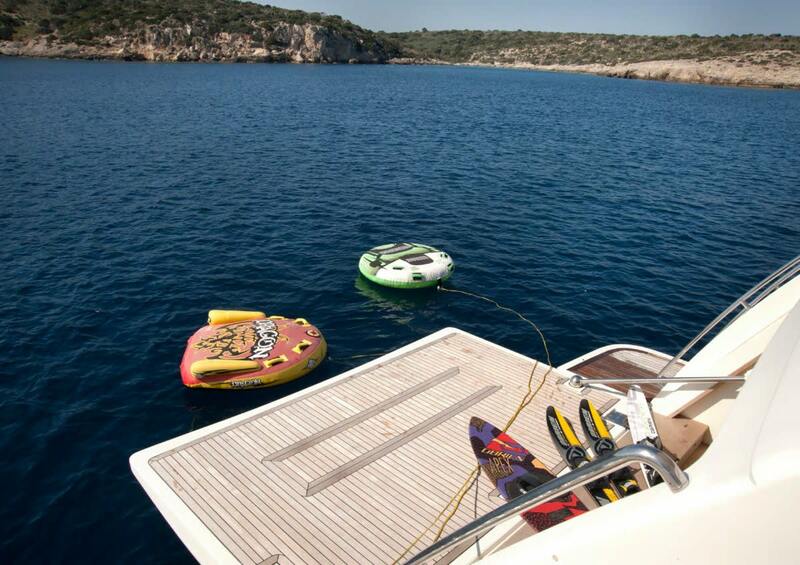 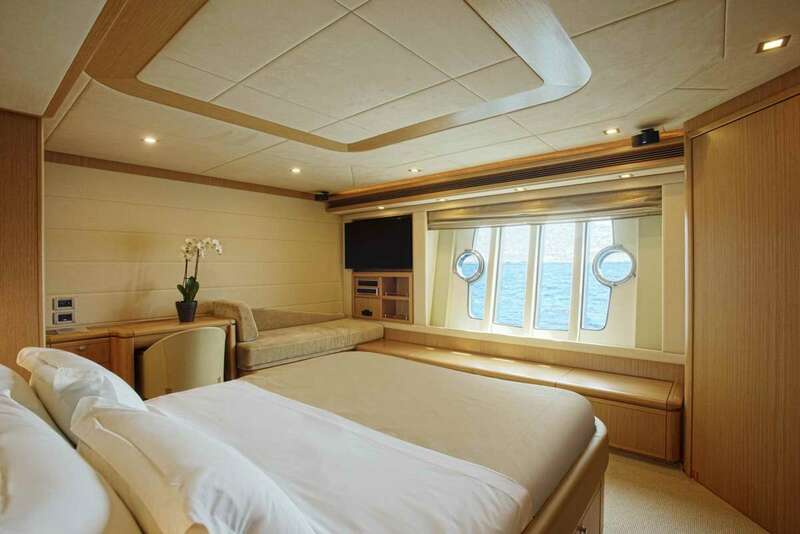 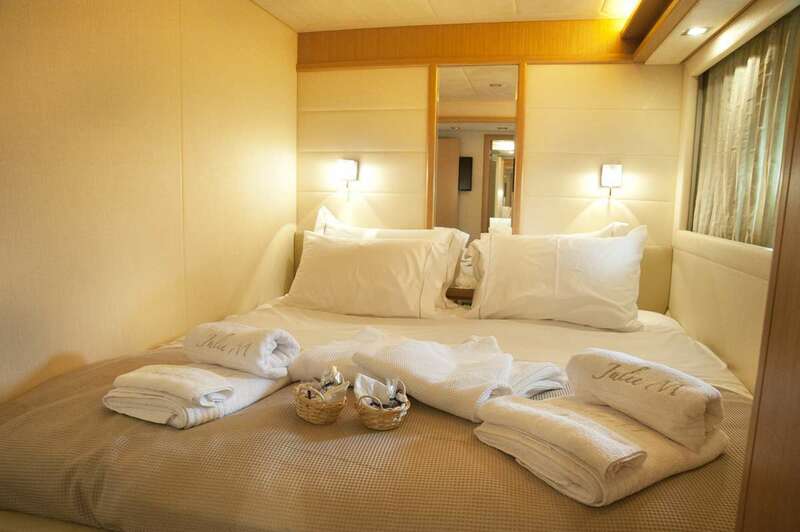 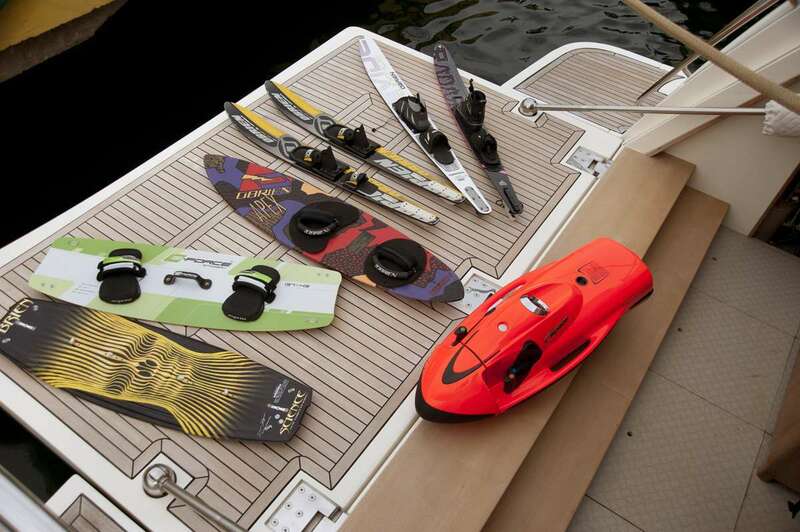 The yacht layout features 4 cabins and accommodates 8 guests. 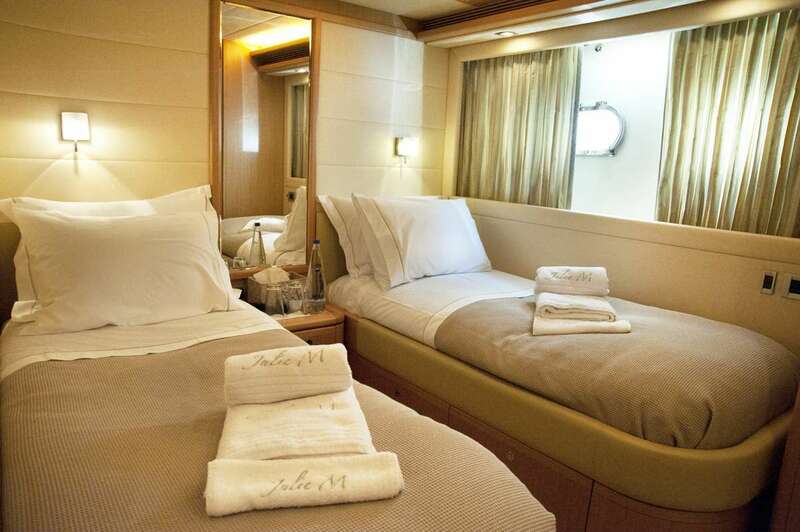 The cabin arrangement is following: 1 queen cabin, 1 double cabin, 2 twin cabins. 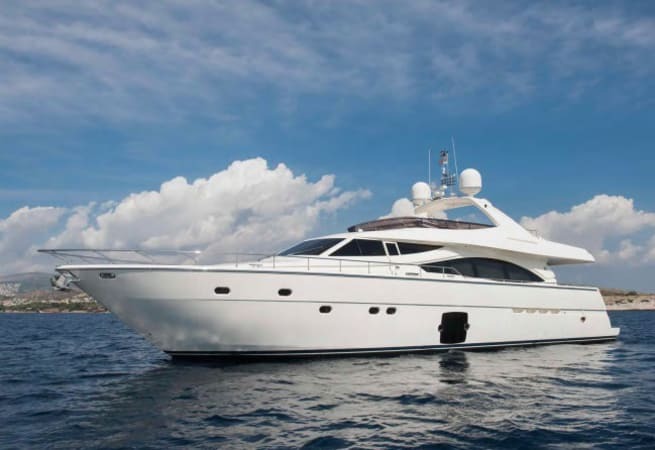 The motor yacht features ENGINES: 2 MTU x 2030hp GENERATORS: 2 x KOHLER 20kW engines . 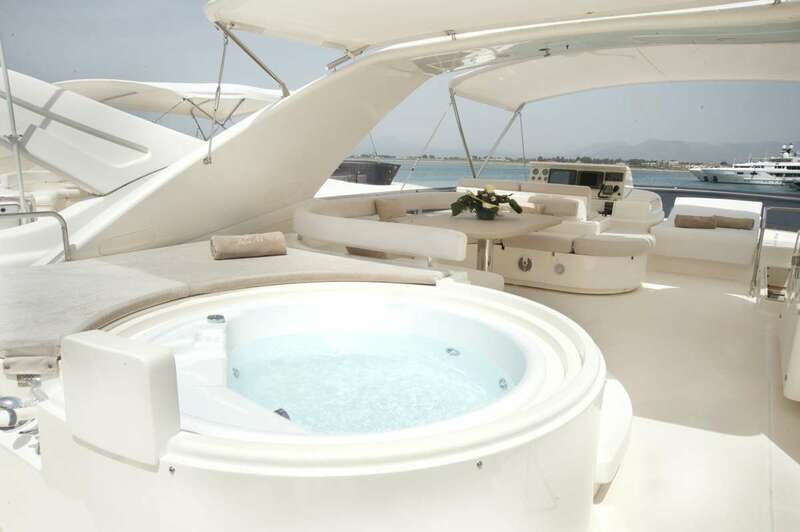 She is available for skippered charter, prices start from €34,000.00 per week.